With so many newfangled and complex e-juice systems constantly hitting the market, sometimes it can seem like everyone is trying to outdo each other, and that can lead to more and more complex vape pen systems rather than user-friendly basic models becoming available. But what about the newbie who really hasn’t even a basic understanding of the process and needs to start from the ground up? 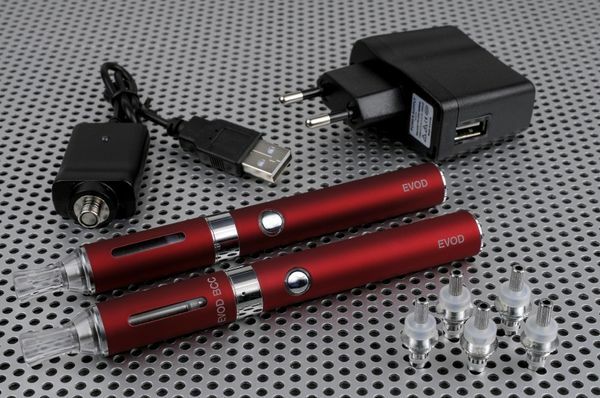 The EVOD system is as simple and streamlined as they currently come, yet it offers its user-friendliness without sacrificing build quality or functional performance. Included in the kit are two pens, two batteries, and a whopping 5 replacement coils to really cover you as the unexpected occasionally occurs. Top that off with both a wall charger and a USB plug, and you’ve got your bases covered for a perfect gift to give to the as yet uninitiated e-juicer. A great value for the price, and certainly a practical choice that will free up some extra coin to cover your expenses. Much like the Storz & Bickel started the table top vaporizer craze for dry herbs, Joyetech was the brand that started the e-juice pen trend, and since then, just like S & B, no one has been able to duplicate their craftsmanship and attention to functional detail. The eGo-C Starter Kit is admittedly, for someone who is already a bit familiar with the e-juice scene, and thusly demands nothing less that premium quality and cutting-edge design. The eGo-C’s notable feature is the fact that the user is able to change out the atomizer heads instead of having to replace the whole unit, and this makes for much more economical juicing over the long term. 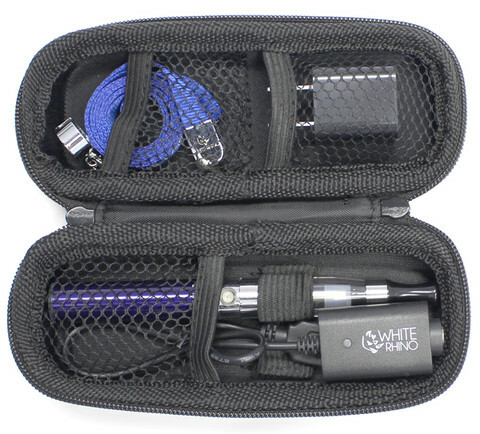 Again, for the advanced user, this is really an all-inclusive kit, complete with five atomizer heads, 5 refillable cartridges, two pens, both a USB and wall charger, and of course, two very powerful 650 mAh 510 threaded batteries to keep you always vaping on the go. 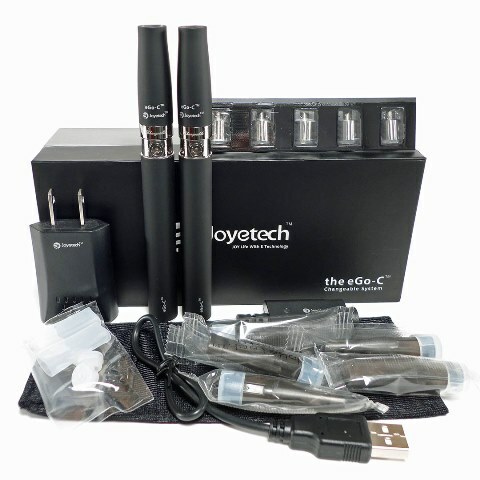 Truly the Joyetech eGo-C Starter Kit is a gift that says you’ve clearly done your due diligence. Now we all have that one techie friend who is just a slave to the latest and greatest gizmos in any electronic arena of the market. 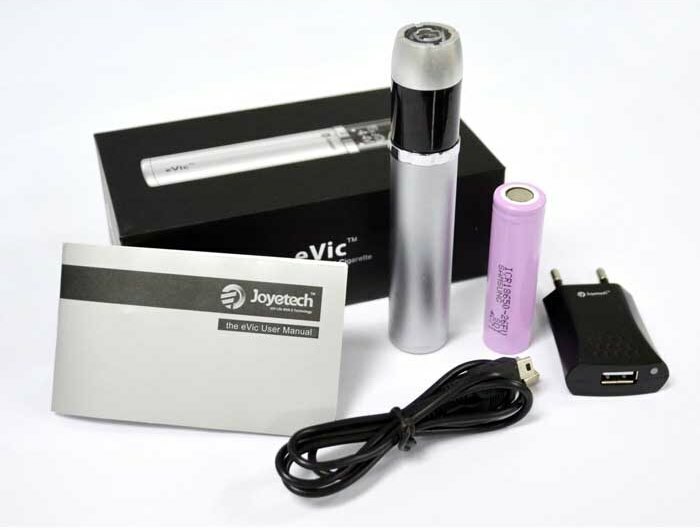 That is also precisely who the Joyetech eVic Kit is perfect as a gift for. Why? For starters, this e-juice pen has a brain. With fully functioning software which features multiple customization features to fine-tune your vaping experience from a computer, and constantly updatable software, it will feel like you’re getting the latest build of this model time and again with every software update. How’s that for savvy functionality? On the more practical side of things, the included 2500 mAh rechargeable lithium-ion battery is going to go the distance for a full’s day’s use without having to plug in. But of course when the time comes you’ll be all set thanks to both a USB and wall charger being included in the package. Truly a thinking man’s gift, the eVic Kit by Joyetech is not to be outmoded. The folks over at White Rhino have all your stocking stuffer needs covered with their super affordable and equally stylish Liquid Mini Pen! This solidly built 510 threaded portable device is a ridiculous buy for just 30 bucks, and it still delivers all the tasty vapor of more expensive models just without all the bells and whistles that many times aren’t needed. With an accidental discharge feature and wickless cartridge for optimal e-juice usage though, it is not without its strong points. Add to that the fact it’s only a bit more than a quarter of an inch wide and just about five inches long, and you’ll probably have heard enough, made up your mind, and are already picking from one of ten designer colors to find the one that best suits whomever will be so fortunate to receive this gift from you! Okay, so we’ve covered the entry-level pens here and also the more advanced and complex designs, but what about that elusive middle-of-the-road pen that really gives you enough of what you need, but not too much more lumped on top? The Atmos Optimus X handily fits the bill here with solid, reliable construction from a very reputable company and consistent quality vapor that is sure to be a satisfactory experience each and every time the end user take a puff. With the near-universal 510 threading, there are endless possibilities and modifications for this unit that reach far beyond e-juice, and the sealed, fully enclosed chamber means the e-juice is never going to accidentally escape and end up all over you during use. At a very low price point, the Atmos Optimus X makes sense on every level as a perfect gift for that unsuspecting loved one (or yourself) this season.